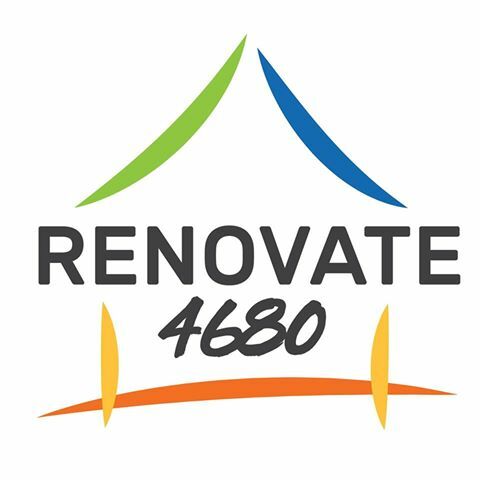 To be eligible to enter, individuals must submit at least two photos, consisting of one before and one after online at renovate4680.com. This competition can only be entered once, and each entrant is only eligible to win one prize. 2. Entry is open to residents from 4680 postcode region, Australia only. Employees (and their immediate families) of Locations Estate Agencies, Gladstone Betta Home Living, GIW Designs and Harbour City Tiles and Carpets, and agencies associated with this promotion are ineligible to enter. 3. The Organiser reserves the right, at any time, to verify the validity of entries and entrants (including an entrant’s identity, age and place of residence) and to disqualify any entrant who submits an entry that is not in accordance with these Terms and Conditions or who tampers with the entry process. Failure by the Organiser to enforce any of its rights at any stage does not constitute a waiver of those rights. Incomplete or indecipherable entries will be deemed invalid. 4. The Organiser accepts no responsibility for late, lost or misdirected entries or other communications. Entries will be deemed void if forged, manipulated or tampered with in any way. 5. Promotion commences on 08/10/2018 at 12:00pm AEST and closes on 14/12/2018 at 11:59am AEST (“Promotional Period”). 6. There is one (3) prizes in total. The winner of the Major Prize (either Bathroom of Kitchen) will receive 1 x Accommodation Voucher. The Dinner Voucher is valued at $80. The remaining 2 prizes are category prizes for Kitchen and Bathroom. The Kitchen prize is a Coffee Machine and the Bathroom Prize is a gift pack. 7. All prizes are not transferable or exchangeable and cannot be taken as cash. 8. The winner will be selected by a shortlisting and voting process and will be announced on 14/12/2018. An inspection may be required to verify your entry. Winner will be notified in writing via an email and social media. 9. The Organisers decision is final and no correspondence will be entered into. 10. The prize must be claimed within 2 weeks of winning. If the prize remains unclaimed thereafter, the Organiser will make use of the prize as the Organiser sees fit. 11. Any and all costs associated with collecting the prize (including but not limited to airfares, transport, accommodation and meals) are the sole responsibility of the Participant. 12. If the prize becomes unavailable for any reason, the Organiser, in its discretion, reserves the right to substitute the prize with a prize to the equal or greater value and/or specification, subject to any written directions from a regulatory authority. 13. If this promotion is interfered with in any way or is not capable of being conducted as reasonably anticipated due to any reason beyond the reasonable control of the Organiser, the Organiser reserves the right, in its sole discretion, to the fullest extent permitted by law (a) to disqualify any entrant; or (b) subject to any written directions from a regulatory authority, to modify, suspend, terminate or cancel the competition, as appropriate. 14. Except for any liability that cannot be excluded by law, the Organiser (including its officers, employees and agents) excludes all liability (including negligence), for any personal injury; or any loss or damage (including loss of opportunity); whether direct, indirect, special or consequential, arising in any way out of the Competition, including, but not limited to, where arising out of the following: (a) any technical difficulties or equipment malfunction (whether or not under the Organisers control); (b) any theft, unauthorised access or third party interference; (c) any entry or prize claim that is late, lost, altered, damaged or misdirected (whether or not after their receipt by the Promoter) due to any reason beyond the reasonable control of the Organiser; (d) any variation in prize value to that stated in these Terms and Conditions; (e) any tax liability incurred by a winner or entrant; or (f) use of a prize. 15. The Organiser collects personal information in order to conduct the Competition and may, for this purpose, disclose such information to third parties, including, but not limited to, prize suppliers and as required, to Australian regulatory authorities. Entry is conditional on providing this information. The Organiser may, for an indefinite period unless otherwise advised, use the information for promotional, marketing and publicity purposes including sending electronic messages or telephoning the entrant. Entrants should direct any request to access, update or correct information to the Organiser. All entries become the property of the Organiser. 17. For the avoidance of doubt the Competition is managed and run by Gladstone Betta Home Living, Locations Estate Agents, GIW Designs, Oaks Grand Gladstone, Elevate Media, Gladstone News and Harbour City Tiles and Carpets.